With the introduction of the Common Core Education Standards, elementary age students are no longer required to learn cursive handwriting. In response, California is among the states leading the country in the resurgence of interest in cursive writing. Cursive writing is becoming defunct in many states. With many of the states no longer teaching cursive handwriting, one state is fighting back. California is among some of the states that are leading the way to revive the interest in cursive handwriting. Some teachers in California gathered a few days after National Handwriting Day, for a cursive workshop. To learn more about why cursive handwriting is an educational tool and not a useless skill, read more in this article here! 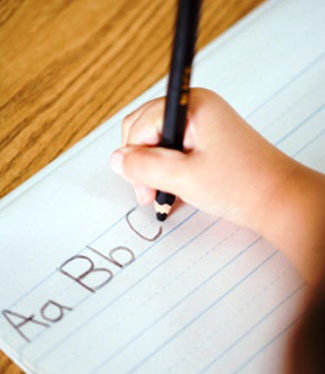 Do you believe handwriting is an essential in curriculums or defunct? The Common Core elementary standards mean that students are no longer required to learn cursive, but in response, many states, including California, are increasing their cursive classes. Cursive allows faster writing, meaning that students can focus on content instead of the physical process of writing. Cursive, along with typing and printing, is an essential skill to communicate in today’s world.